After Henry VIII’s death in 1547, the castle was probably in a state of decay due to land slippage and was no longer in use as a fortification or residence. In 1551, Henry’s son Edward VI sold the castle: ‘Grant to Lord Riche for £700 the Castle, Manor and Park of Hadleigh, Essex, with the advowson of the Church, lately part of the possessions of Catherine, Queen of England, deceased’. 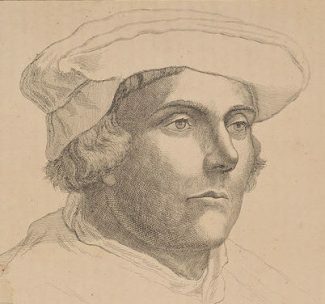 Sir Richard Rich, Baron Rich of Leez, was Edward VI’s Lord Chancellor and a major Essex landowner. Rich made the castle pay by selling its stone as building material. After Rich’s death in 1567, the castle passed to his descendants, including his grandson the Earl of Warwick. In 1675, the castle passed to Henry St. John, who was married to a daughter of the 3rd Earl. He then sold the estates to his relative Sir Francis St. John, whose daughter Mary brought it in marriage to Sir John Bernard, Bart. In 1771, Sir John’s daughter married Robert Sparrow and the castle then passed to their son Brigadier General Robert Bernard Sparrow. Lady Olivia Sparrow, his widow, inherited the estates in 1802. After her death in 1863, the castle and farmlands were sold to Major Thomas Jenner Spitty of Billericay. In 1891 General Booth, the founder of the Salvation Army, bought the estates to establish a colony for the poor.